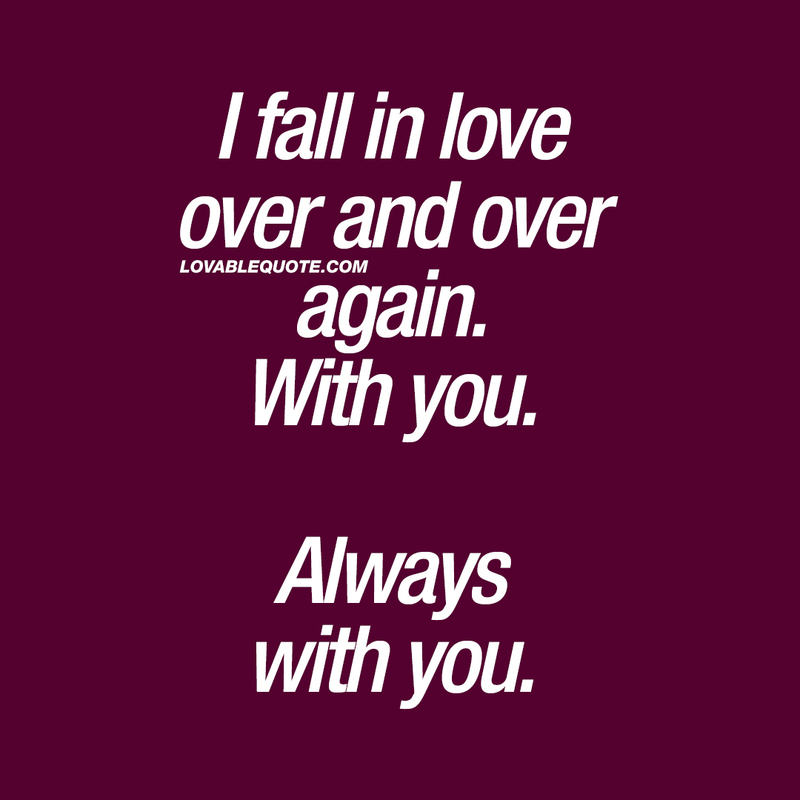 Romantic love quotes: I fall in love over and over again. With you. Always with you. I fall in love over and over again. With you. Always with you. This romantic love quote is all about that amazing thing that can happen when you keep falling in love with the same person. When you fall in love, over, and over, and over again with him or her. Always with him or her. Feel this way about someone? Want to make someone you love smile? Then share this romantic quote with that person today! To fall in love. With you. Best. Thing. Ever. Everything we do together just makes me fall in love with you more. Falling in love with you is the best thing that has ever happened to me. I keep falling in love with you. This “I fall in love over and over again. With you. Always with you” quote (text and image) is copyright © Lovable Quote 2018.